For over a decade, we have operated under a company mission of seeking to align what is right with what works, as the best way to bring about real and lasting change. Our transition to a Public Benefit Corporation perfectly embodies that mission. It is a way for us to affirm the principles and values we hold so deeply, and we believe it is the best way to maximize the success of Public Democracy and the Umatr crypto-ecosystem we outline in this paper. “At Public Democracy, we believe that it is possible to align what is right with what works, and that technology should empower people, so that individual voices are listened to by those in power and so that their collective voices rightfully influence decisions that are made in the political, corporate, and community space. Unlike traditional corporations, Public Benefit Corporations are legally required to consider the impact of their decisions, not only on their shareholders, but also on their stakeholders (e.g., the community, the environment, workers, suppliers, and consumers). We believe deeply in the purpose-driven movement that this new class of corporation represents (and one of our Directors started a Public Benefit Corp that was one of the first thousand to receive B Corp Certification). 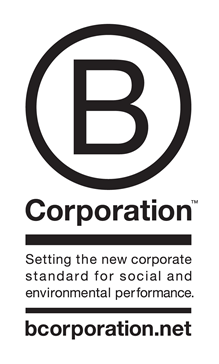 Over the past year, we have taken all necessary steps to be certified as a B Corporation, including the impact audit, and are in the process of submitting the final paperwork. We also believe that the time has come for companies to take the value of data seriously, and as a Certified B Corp, we are committed to living up to the promise we have made to all of our users about the value of the data they create by working with us. We hope that by establishing a corporate structure legally required to operate under different rules and committed to transparency, we will be better able to establish the trust with users and partners that will be vital to Umatr’s success.